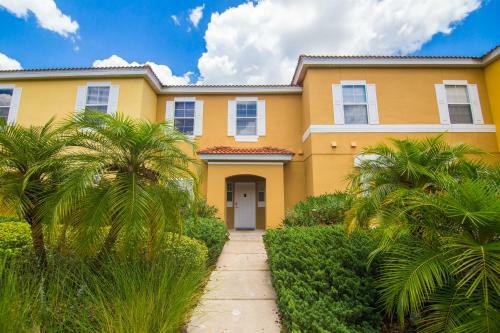 Encantada-Vacation in Kissimmee is a villa with 1 room. 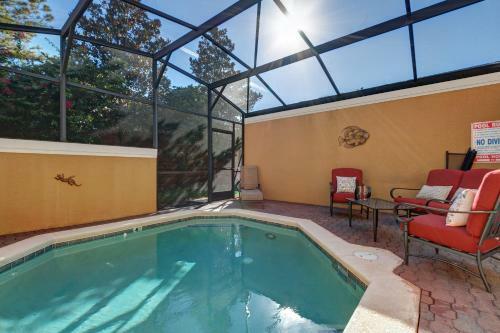 Offering a private outdoor pool and free WiFi access, Encantada-Vacation is located in Kissimmee, Florida. Walt Disney World Resort is just 6 minutes' drive away. The villa includes living and dining areas as well as a fully equipped kitchen with an oven, stovetop, dishwasher, refrigerator, and coffee machine. Featuring a bath or shower, all private bathrooms also come with a hairdryer. Barbecue facilities and access to a community fitness centre are available to the guests at Encantada-Vacation... Villa. 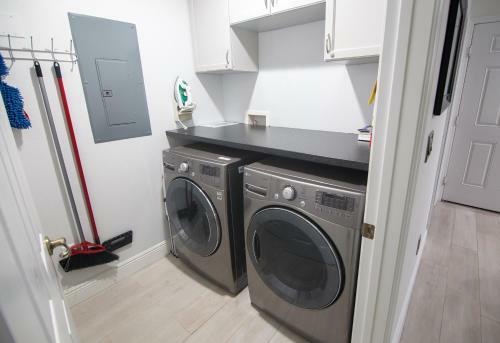 Free on-site parking and en suite laundry facilities are offered for convenience. Polo Park East Golf Course is 7.1 km away. Old Town theme park is 12.6 km from the furnished villa. Medieval Times Dinner and Tournament is 21 minutes' drive away from the Kissimmee property. 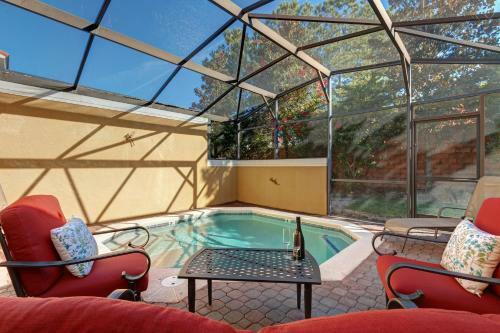 Offering a private outdoor pool and free WiFi access, Encantada-Vacation is located in Kissimmee, Florida. Walt Disney World Resort is just 6 minutes'... drive away. The villa includes living and dining areas as well as a fully equipped kitchen with an oven, stovetop, dishwasher, refrigerator, and coffee machine. Featuring a bath or shower, all private bathrooms also come with a hairdryer. Barbecue facilities and access to a community fitness centre are available to the guests at Encantada-Vacation Villa. Free on-site parking and en suite laundry facilities are offered for convenience. Polo Park East Golf Course is 7.1 km away. Old Town theme park is 12.6 km from the furnished villa. Medieval Times Dinner and Tournament is 21 minutes' drive away from the Kissimmee property. When would you like to stay at Encantada-Vacation? Accepted credit cardsAmerican Express, Visa, Euro/Mastercard, Diners Club, JCB, Maestro, Discover, Carte Blanche. The accommodation reserves the right to pre-authorise credit cards prior to arrival. Please inform Encantada-Vacation in advance of your expected arrival time. You can use the Special Requests box when booking, or contact the property directly with the contact details provided in your confirmation. Please note that the check-in and key-collection take place at: 3176 yellow lantana ln, 34747 kissimmee. Guests are required to show a photo identification and credit card upon check-in. Please note that all Special Requests are subject to availability and additional charges may apply. This property will not accommodate hen, stag or similar parties. Please note that guests must request pool heating in advance so that it can be made available upon arrival. Contact property for details. Pool heat intensity varies by season. After payment is received guest will receive: -Payment receipt -Access codes for the property -Appliance guide for the property -Local restaurant guide -Google map link that displays local points of interest and airport directions Please note guests will be sent a reminder on their day of arrival with information related to their stay.